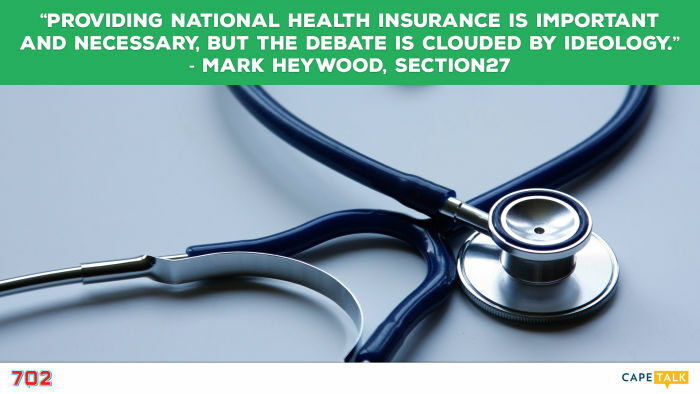 The Money Show's Bruce Whitfield interviewed Mark Heywood, the Executive Director of SECTION27, a public interest law centre promoting human rights. 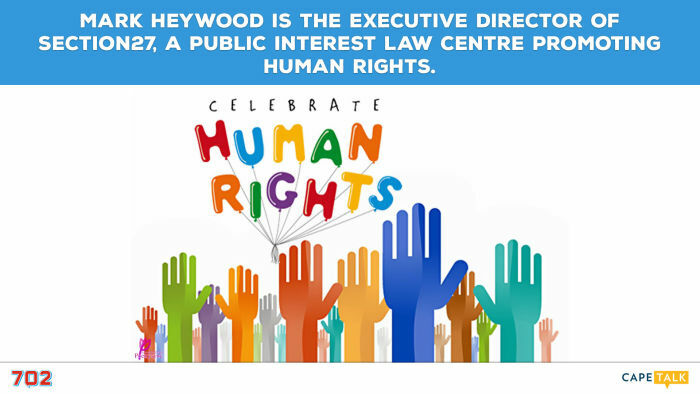 Mark Heywood grew up in Nigeria, Ghana, Botswana and England. 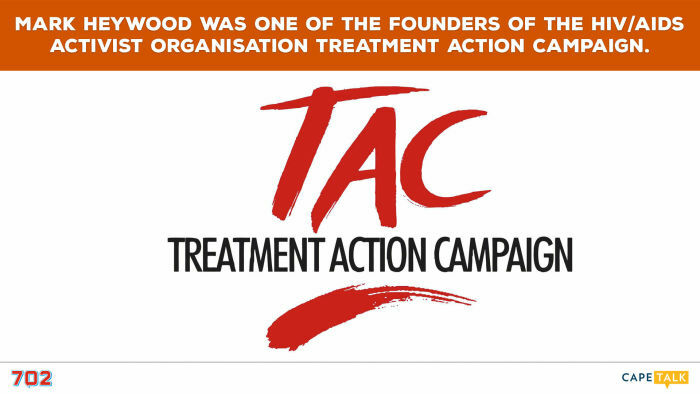 Mark Heywood was one of the founders of the HIV/Aids activist organisation Treatment Action Campaign. 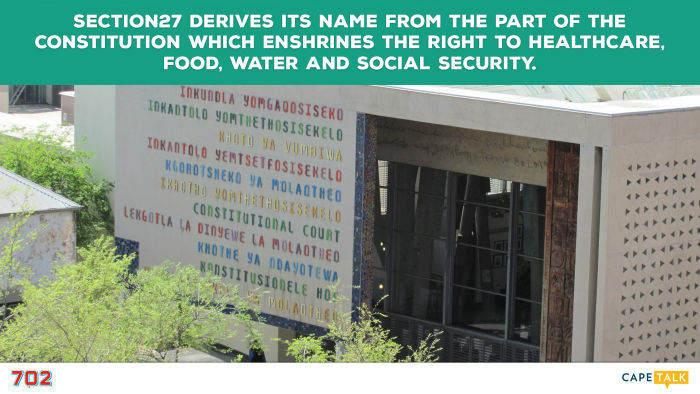 SECTION27 derives its name from the part of the Constitution which enshrines the right to healthcare, food, water and social security. 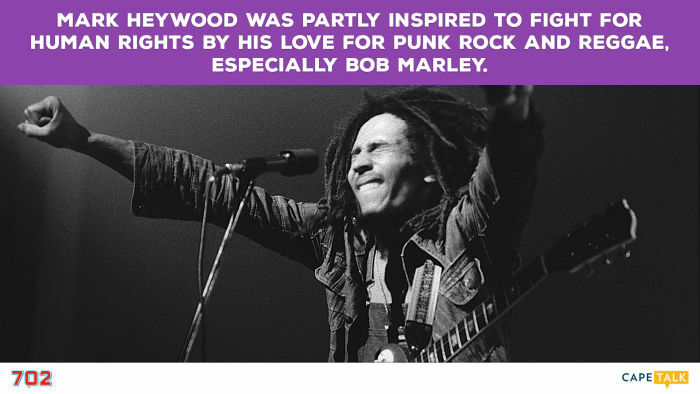 Mark Heywood was partly inspired to fight for human rights by his love for punk rock and reggae, especially Bob Marley. Providing National Health Insurance is important and necessary, but the debate is clouded by ideology. It’s in Business’ interest that education and healthcare improves for everyone. I’m not a socialist, but I believe in social justice. As a teenager I was revolted by what was happening in Apartheid South Africa. By the time I got to Oxford I was an angry young man. Oxford made me even angrier! London in the 80s was a very depressing place. It’s scary the way our government is cosying up to China. I came back to South Africa for political reasons in 1989. My ideas of how to solve our social problems have evolved. But I’m still very angry. The state of many of our hospitals and schools are unacceptable. We must stop shaking our heads and start doing something! Stop relying on people such as me to change things. I get tired of fighting all the time. But there are a lot of rewards, because there’s far more good than bad in our country. But the forces of evil are running the show at the moment. The ANC has been high-jacked. State power has been stolen by outright criminals or people beholden to criminals. The future isn’t Steyn City! Free enterprise is NOT working for most people! It’s good business to go beyond profit. Just ask these giants of SA Inc. Highlights from previously featured ShapeShifters who will take part in next week Wednesday’s (25 Nov) “ShapeShifter Unplugged”. He fought Apartheid, led Cosatu and served as Minister under Madiba. Now he's fighting world hunger and poor governance in Africa. We interview one of Africa's richest people about her amazing life and her drive to make a difference by giving back.